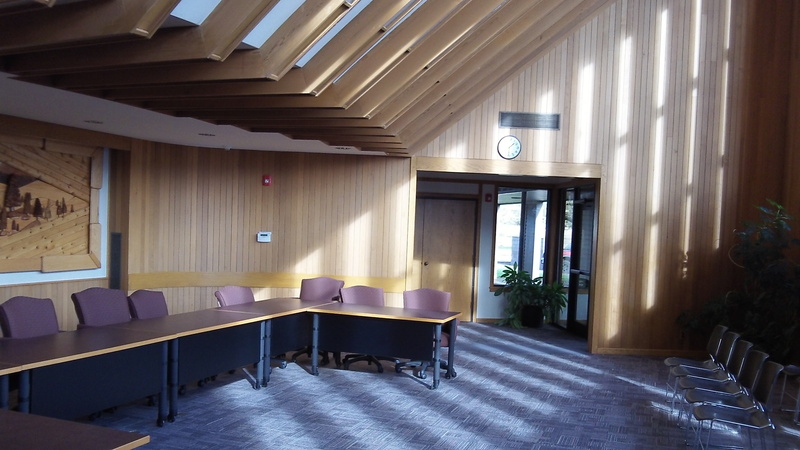 Light and airy: Where the Millersburg City Council meets. There’s a website titled millersburgcitypower.com. It purports to help residents follow the process as the city council considers expelling Pacific Power and taking over the electric facilities in the town. The material on the site amounts to arguments in favor of this move, and the city of Millersburg should either shut the site down or make it impartial. The website has a link that points readers to “public records” regarding the proposal. As of late Saturday, the “public records” shown there were three in number. Two were reports by Cable Huston, the Portland law firm hired to push the public power proposal. The other is a report by D. Hittle and Associates, a consulting firm, on the costs and benefits of a municipal electric utility. The Little report concludes that the benefits outweigh the costs even if the costs are higher than the consultants assume. That’s the lot of the “public records” shown on the site. Where are the letters or statements from Pacific Power to Millersburg contesting the consultants’ conclusions about costs and benefits? And where is the ruling this month from the Bonneville Power Administration, a ruling that casts doubt on Wah Chang’s ability to benefit from BPA’s cheapest tier of power, an ability on which this whole proposal rests? This City Council is being coerced by Wah Chang to look into this probable Public Utility. I agree with you, this site is all one sided. The site is paid for by Wah Chang and it would not suprise me at all that they are managing it. About 4 months ago a “mailer” card was sent out to Millersburg residents and businesses (some people say they did not receive it). I asked the City Admin and the City Attorney in a Council meeting…. who paid for this card and mailed it out ? The Attorney tried to side step my question. I nailed him down….it finally came out that Wah Chang developed the mailer and Wah Chang mailed it out…NOT City Staff or the Council. In what City can one member in the City railroad something through the Council…Millersburg ! Wah Chang representatives have been in these closed door meetings. Wah Chang as far as I am concerned is no better than any other member of the community ! There should be no more closed door meetings and I wish Pacific Power’s Attorneys would look into violation of public meeting laws with the Attorney General. The Community must be informed with all the REAL facts from both sides, not boiler plate lingo from Cable Huston and Little Assoc. The citizens also need to get involved ! If this was such a great idea more City’s would be doing it. And we all have to remember that Bonneville Power cannot guarantee electric rates to anyone and can raise their rates every 2 years to Public Utilities. Heh Wah Chang….you may not save $ down the road anyway !